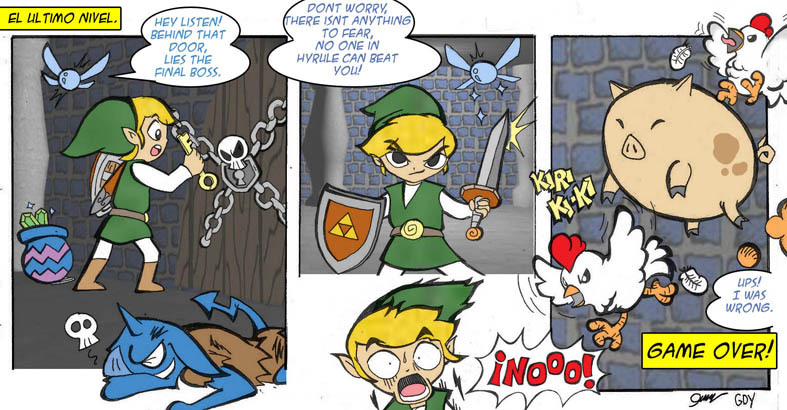 Link was right chickens are the worst! this, according to my inbox they are super confusing. This entry was posted on Friday, March 21st, 2014 at 1:05 am and is filed under Uncategorized. You can follow any responses to this entry through the RSS 2.0 feed. You can leave a response, or trackback from your own site. That’s odd, I always enjoyed the fight scenes. Especially since its cool to see Jinx throw down. Ive often wondered why Gannon doesn’t just hire chickens to guard his dungeons. It would give him far better odds.